Mr. Aquino signed the Cybercrime Prevention bill into law last Sept. 12, 2012. On September 12, President Benigno S. Aquino III signed into law Republic Act 10175, otherwise known as the Cybercrime Prevention Act of 2012. No doubt about it: Congress – through the House of Representatives, the Senate and the bicameral conference committee – proposed, drafted and finalized the text of the document. The responsibility of Congress ended when the bill was transmitted to and received by the Office of the President for whatever action he wishes to take. Mr. Aquino could have vetoed the bill. He could have came out with a veto statement explaining that any cybercrime prevention bill should be written in such a way that the cybercrimes are explicitly defined, the culprits prosecuted and just punishment rendered – and the innocent spared. He could have told Congress that the inclusion of online libel is unacceptable, especially when lawmakers think that netizens are a special class who, when found guilty of libel, should be meted punishment one degree higher than those who commit libel offline. He could have asked Congress for a bill that fight cybercriminals while at the same time protects against unlawful search and seizure. President Aquino instead signed the bill into law. 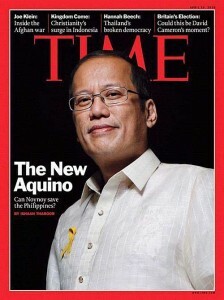 We have to stress this because Malacanang’s spin doctors are trying to cover up President Aquino’s role in this scandal. This is the President’s scandal and he only has himself and his legal advisers to blame for it. In fact, netizens and citizens would be taking President Aquino and his executive secretary – not Congress – to court. Why? Because the President signed RA 10175 into law. The issue is no longer why Congress made such an unconstitutional bill, but why President Aquino failed to veto it in in accordance with the Constitution. In covering up President Aquino’s signature, Malacanang advises us to go to Congress for a remedy. The advice – like Senator Tito Sotto’s defense of plagiarism – is an insult to the intelligence of the Filipino netizen. The thing that’s worse than President Aquino signing this bill is his and Malacanang’s refusal to own up to their misdeed. Now, we citizens have our work cut out for us: Call out President Aquino on his unconstitutional new law, correct the misimpressions made by Malacanang, and win the case before the Supreme Court about the serious serial unconstitutional provisions of RA 10175, and take the battles for Freedom of Information forward.